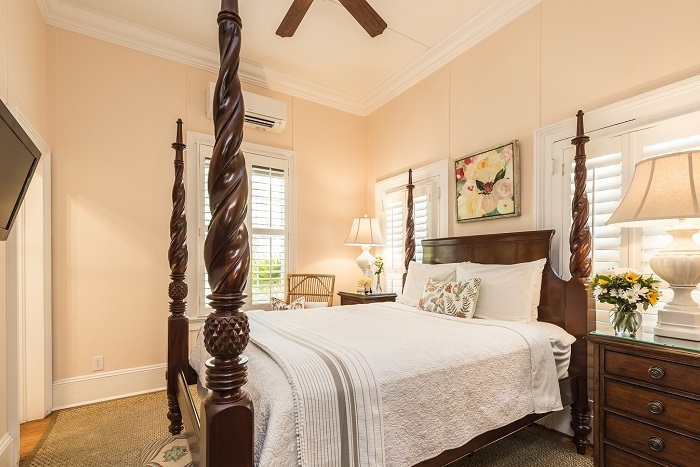 Perfect for 1 or 2 guests, the affordable Veranda room at our inn in Key West, FL is on the first floor located by the main lobby. 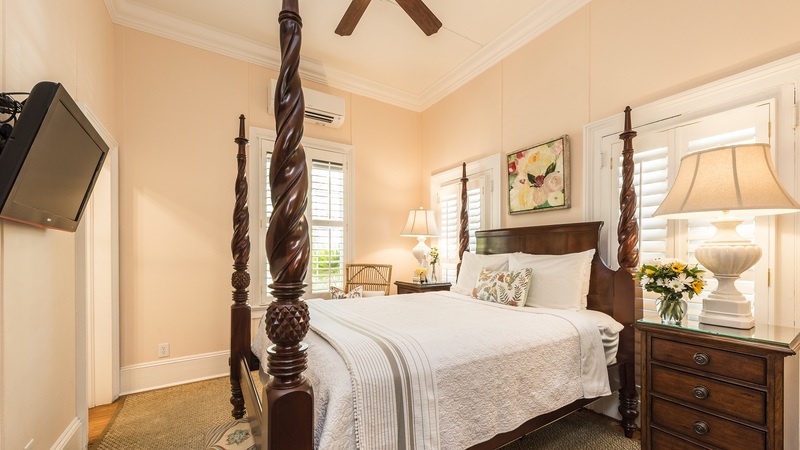 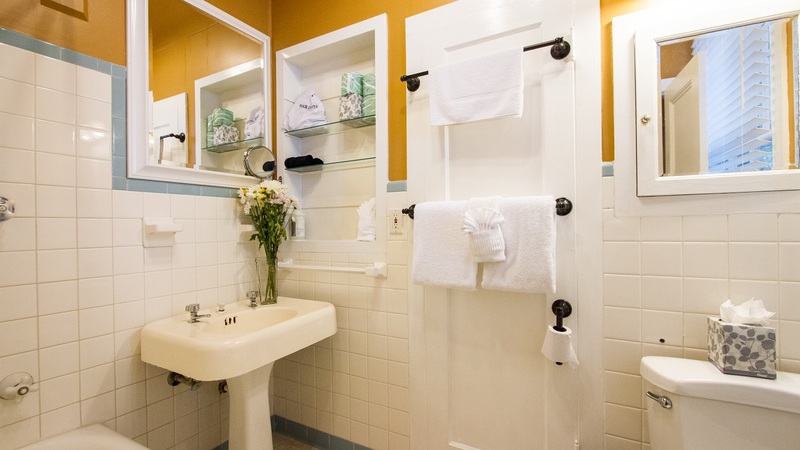 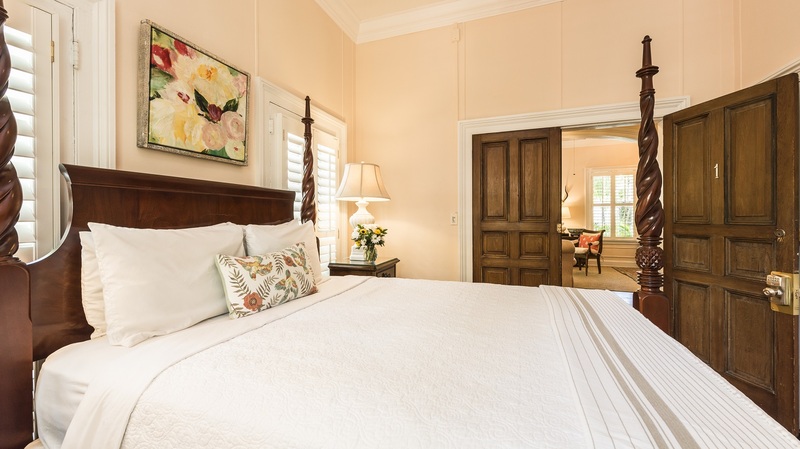 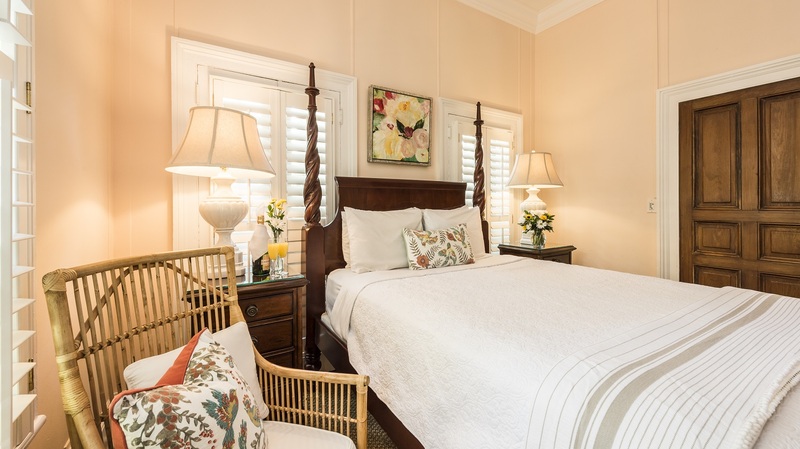 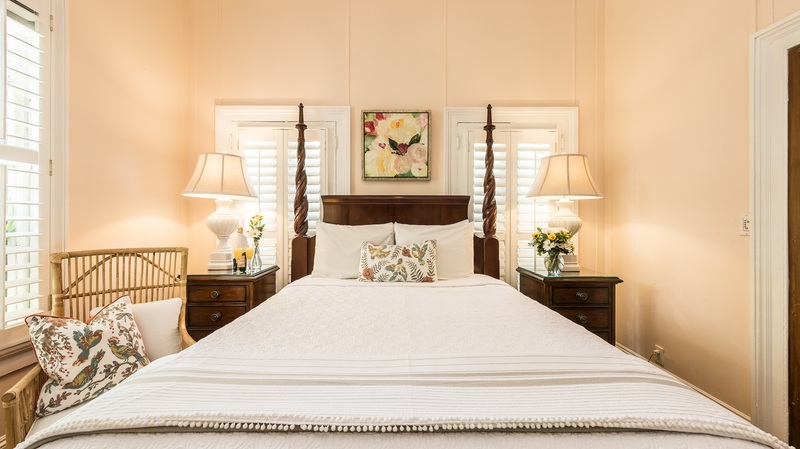 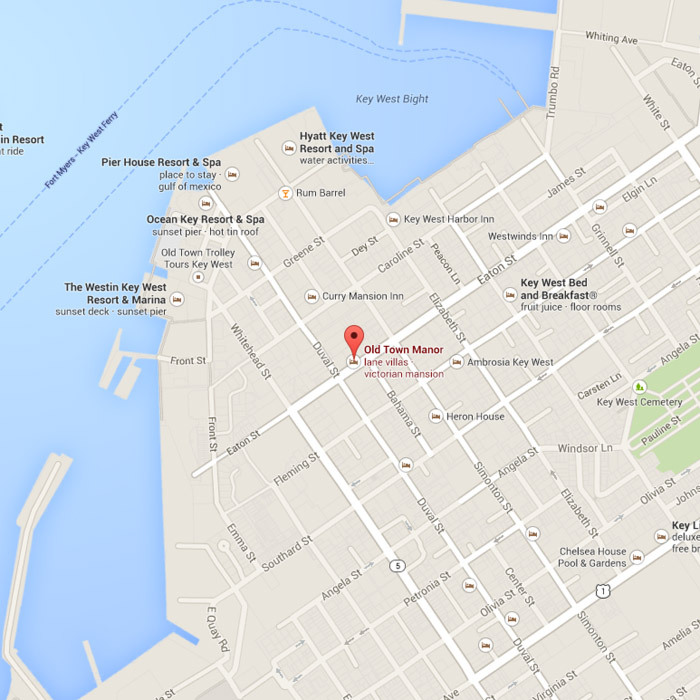 It’s ideal for those who want a comfortable bed to return to after a fun night on Duval Street! 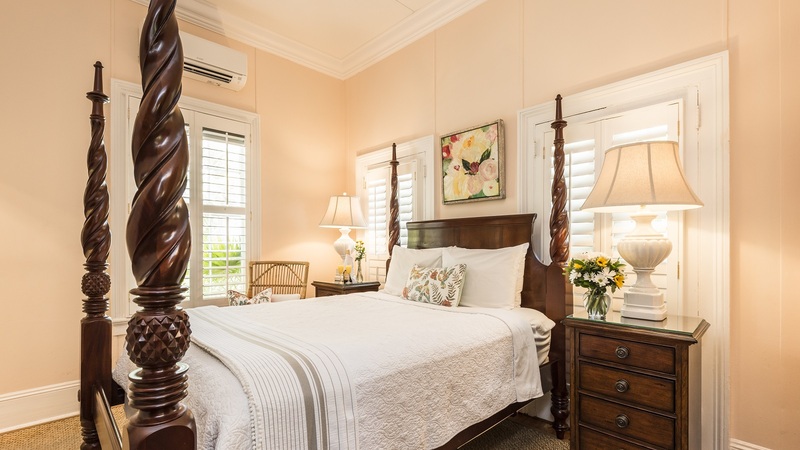 The cozy queen bedroom with its original private bath is where Dr. Warren examined his patients while living here in the early 1900’s.